What’s Up Friends and Family? WHATS UP FANS AND FAMILY! It’s been a very good week. I’ve been in Atlanta filming and recording for the Symphony Crack project with my brother Ashanti The Mad Violinist. Today I will be flying back to Charlotte to perform at Wet Willies! So if you’re in Charlotte, and your’e looking for something to get into on a friday night, Come out! theres no cover! SEE YOU THERE!!!!! HAPPY NEW YEAR EVERYONE!!!! Now get out there and make this year even more epic than the last! We are here at Virginia State University! We had a blast! Thanks for all the love and for bringing back all the warm memories! 1 of the highlights of this @brianculbertsonmusic tour was finally playing with the LEGEND Patches Stewart; who was actually supposed to join Mono and I in @prince final group for all that black is the new black jazz! Keep my little homey Jason in your prayers. He’s fighting a tuff fight right now. I’d give anything to trade seats with him, but he’s tougher than I am. Keep fighting J! Everybody’s praying 4 u! He’s AWAKE and STILL FIGHTING! Just had a quick video chat with Jason. He made some funny faces but cant talk much. I’m just happy to see his eyes and his goofiness. I wanted to leap thru the phone and hug him! Thanks 5 all your prayers and support for this kid who means the world 2 me! 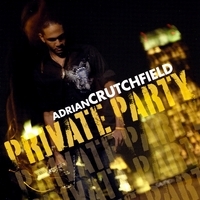 Copyright Adrian Crutchfield Music. All Rights Reserved.